New Dev4Press website is now online, fully rewritten, redesigned and improved. Main website is now split into 3 websites to help with organization of support forums, priority support tickets system (new addition for Developer licenses), documentation and tutorials. Main website now contains overview for all Dev4Press products, services, it contains news and users accounts dashboards. Everything related to support is now moved to sub-domain: support.dev4press.com and there you can find support forums and brand new priority support tickets system available to users with developers licenses. And documentation and tutorials are moved to sub-domain: docs.dev4press.com. Main Dev4Press website content is now easier to navigate, plugins and themes information more to the point. All other basic information that includes FAQ, terms, services pages are improved. Users dashboard is also improved but it has basically the same form as before. 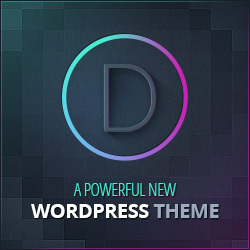 Right now, some information about some plugins or themes might be missing or incomplete. In the next days I will work on adding missing information and polishing some areas. With every redesign like Dev4Press had there are always some small issues remaining, and it will take few days to iron them out. As for the documentation website, I am working on user guides, and they will be added in the next few weeks to cover as much as possible. Let me know if you find any problems or errors using new websites. If you have problems logging in, please clear cookies in your browser since all previous cookies are invalidated.